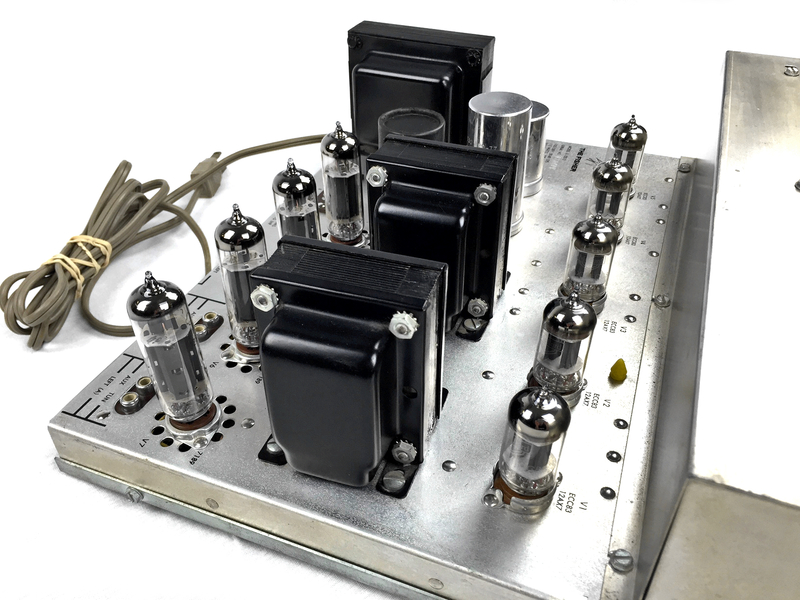 The model A-100-3 was the last of the famous X-100 line, and one of the last and most advanced tube amps designed by Fisher. 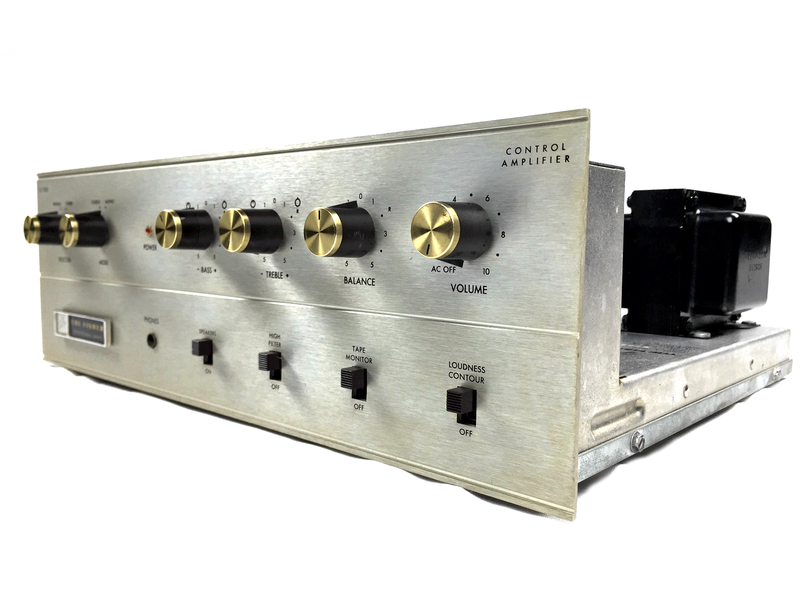 This mint condition “collectable quality” amp is in absolutely perfect cosmetic and electronic condition. 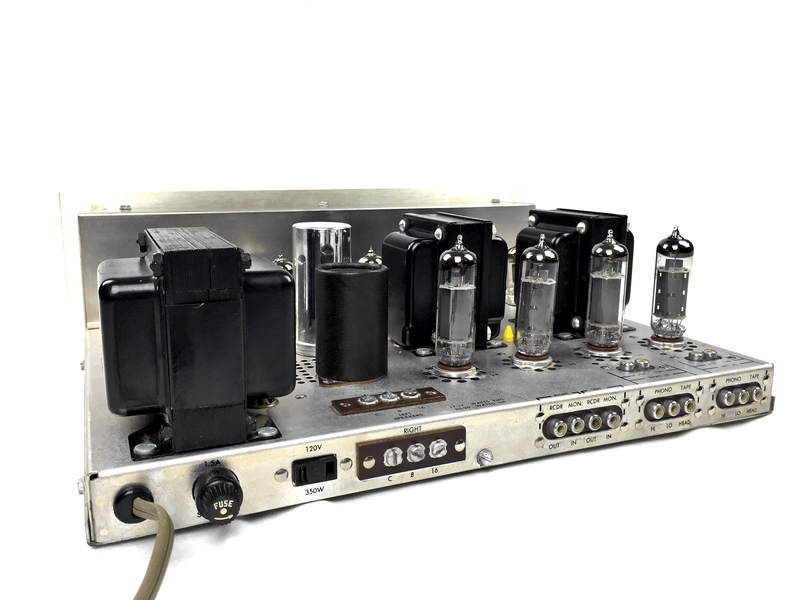 After a detailed professional restoration this beautiful example of 60’s American engineering looks and performs like new, delivering all the legendary sound Fisher tube components are famous for. 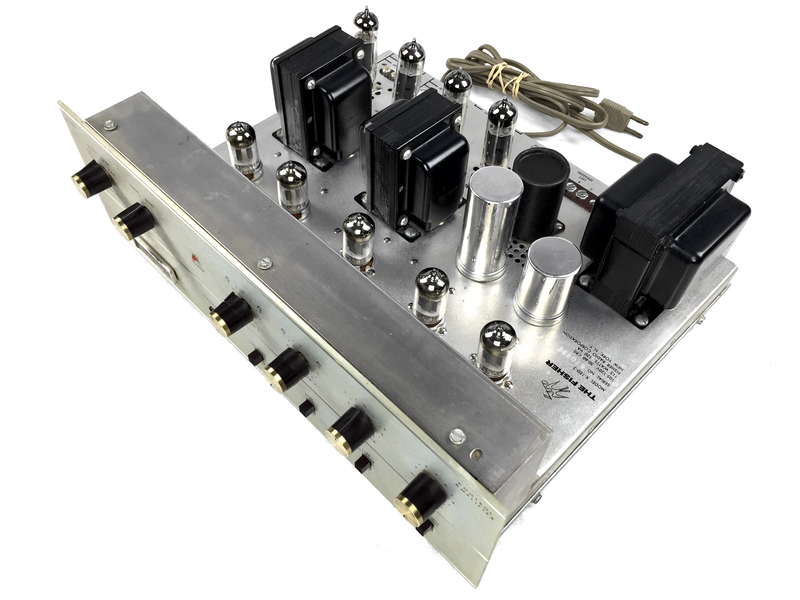 The driver balance and bias circuit were critically aligned using HP laboratory quality test instruments. All controls function perfectly. And most importantly, the sound quality is absolutely superb, with an incredibly clear and detailed soundstage. 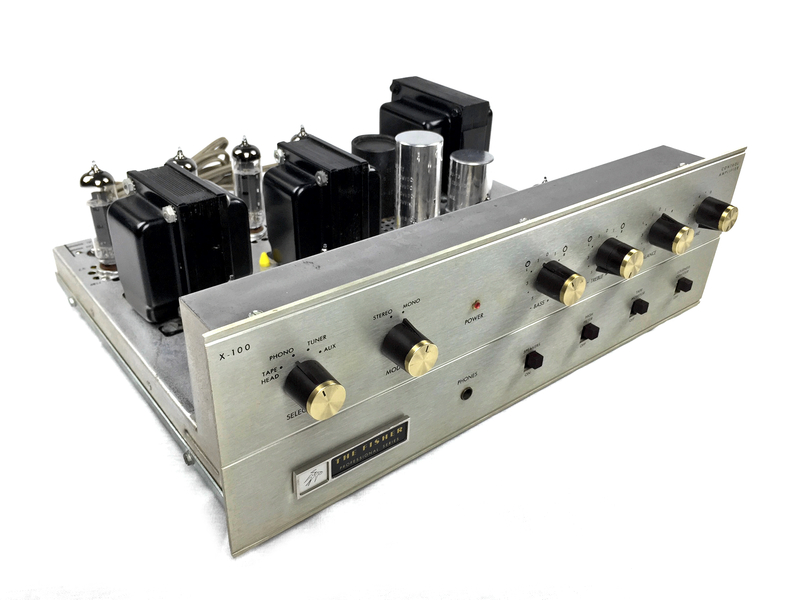 This is one of the very best sounding 6BQ5/7189 amplifiers you will ever hear at any price, vintage or new. 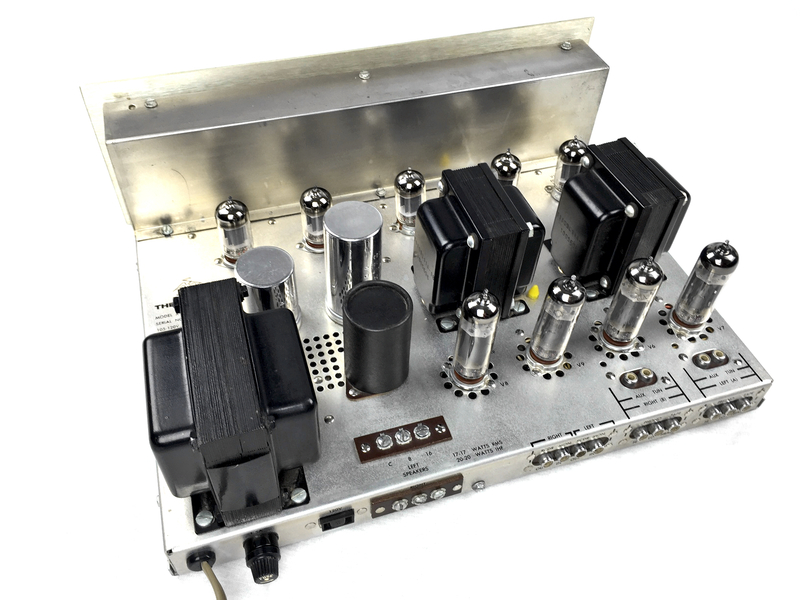 Faceplate, Knobs and Chassis in excellent condition. Completely re-capped and all resistors checked – 8 resistors, 14 capacitors and two rectifier diodes were replaced. 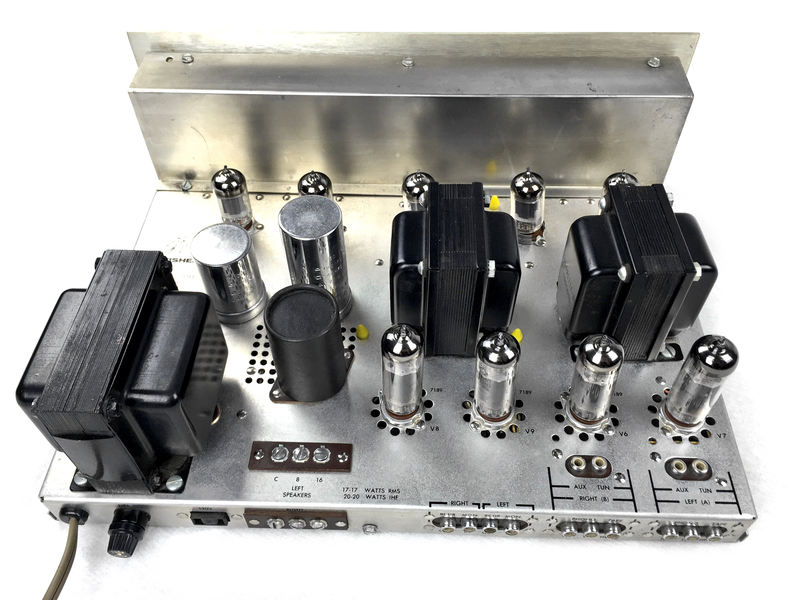 All coupling capacitors replaced with top-of-the-line polystyrene “audiophile quality” types. Power supply upgraded with polypropylene bypass filter capacitors and MOV inrush current limiting. All switches and controls were cleaned and lubricated. All switch contacts were hand burnished. 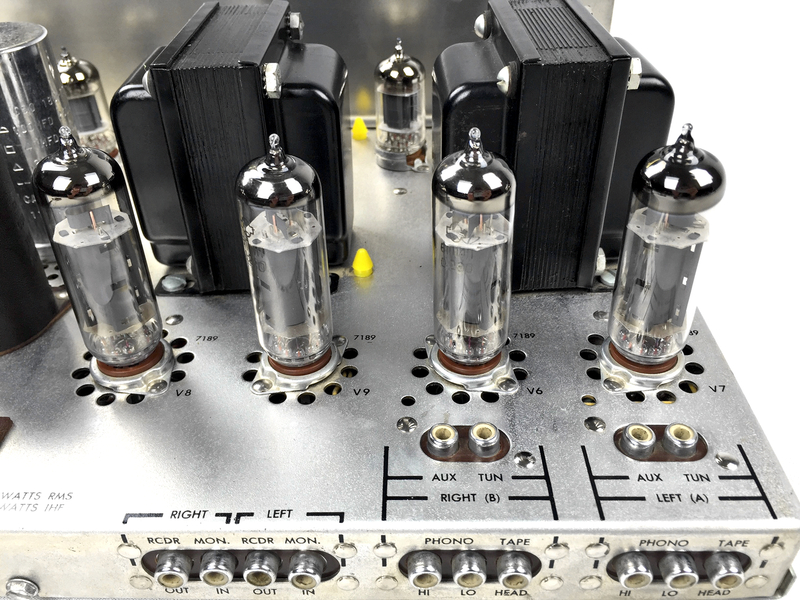 All tubes replaced with thoroughly tested premium quality matched-pairs. The 12AX7’s are new Mallards in the phone and driver stages, with a JJ Tesla ECC83-S in the tone control stage. All hand selected for low noise and low microphonics. The output tubes are a new quad of closely matched 7189/6P14P’s (High performance versions of the 6BQ5). All restorations come with our no-risk 14 day money-back satisfaction guarantee.